You control a paddle at the bottom of the screen while a ball bounces around. Stop the ball from falling off the bottom of the screen by moving the paddle left and right. 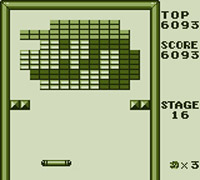 Break all of the blocks on the screen with the ball to clear each stage. Each block puzzle is split into three stages followed by a bonus stage. 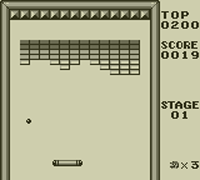 The first stage is a stationary puzzle, the second is moving, and the third is usually stationary, but the ceiling drops down every few times the ball bounces off your paddle. 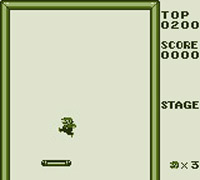 In the bonus stages, the ball doesn't bounce off the blocks, but destroys them without stopping. When you start a new game, Mario runs onto the game screen and jumps into the paddle. The US/PAL boxart also shows Mario controlling the paddle. After completing three stages you are taken to a timed bonus stage where the ball clears blocks without stopping. 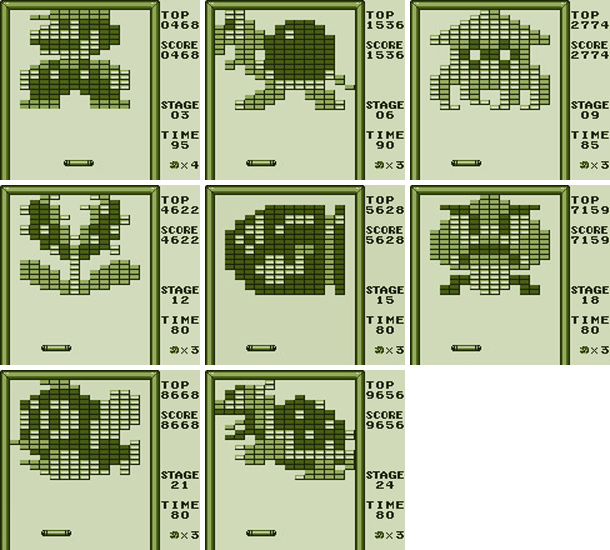 The bonus stage blocks are all in the shape of characters from the Mario series. Stages 16, 17 and 18 are all in the shape of Mario's head. Stage 18 starts the same again, but as it drops down it reveals an even larger Mario head facing in the other direction. 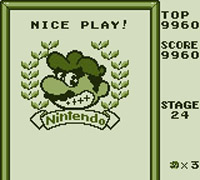 Once you have cleared the final stage, you receive a "Nice Play" congratulations screen. A classic-style piece of Mario artwork from Mario Bros. accompanies it.